The Spectrum Productions studio is located in the heart of the Mile End, Montreal. Surrounded by film and gaming giants of Montreal we are very much apart of the film/TV/Arts community. 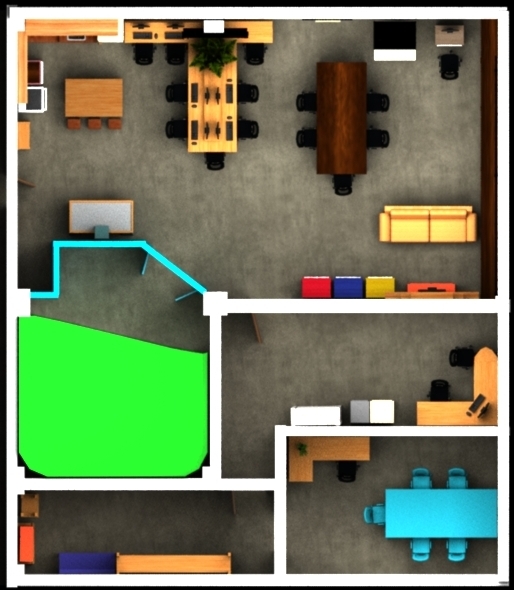 A 2000sq ft studio complete with professional isolated greenscreen room, with permenant lighting installed, 12 high end workstations all with Adobe CC suite and Toonboom Studio for all your Editing, Motion Graphics and Animation needs. We also have a fully equipped kitchen area for cooking meals and storing food for the day.